Muuto's Cover Lounge Chair is a stylish seat that can be used in both private and public areas and offers a pleasant level of comfort. While the frame and legs are made of solid wood, the backrests are made of moulded wood. The armrests are elegantly folded over the backrest and legs, so that the individual elements are combined in an innovative layered look. Traditional craftsmanship and a modern language of form meet here and together result in a harmonious combination. 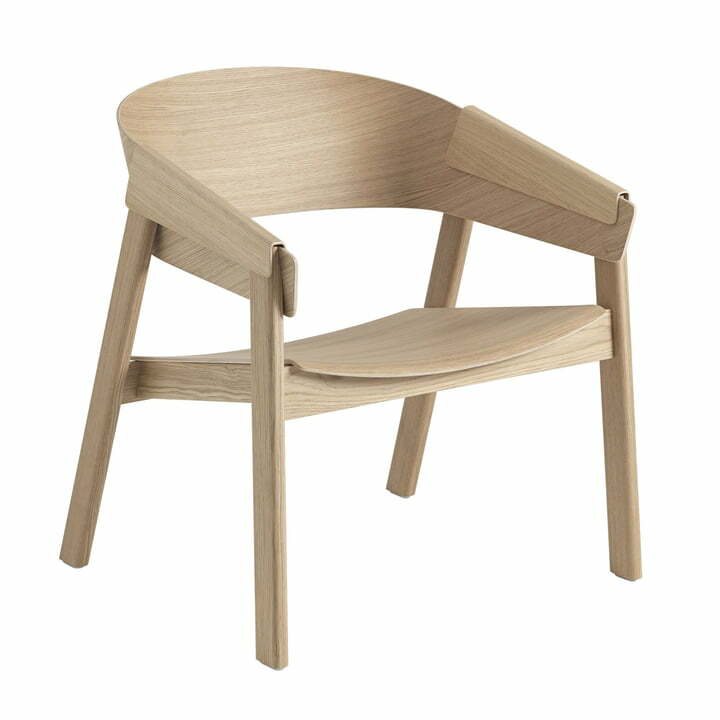 The designer Thomas Bentzen is responsible for the design of the chair. The slightly inclined seat and the embracing backrest ensure a relaxed sitting position, so that the Cover Lounge Chair invites you to stay longer. Standing individually or integrated into a seating corner, the Lounge Chair sets elegant, modern accents and blends in perfectly with any ambience. On request, the Cover Lounge Chair is also available with upholstered seat. 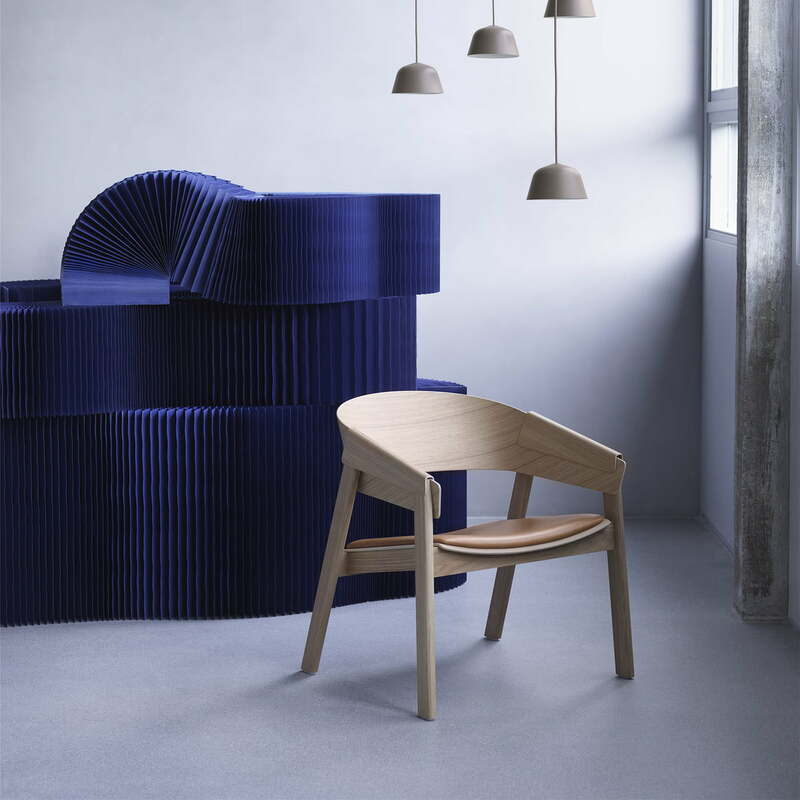 Cover Lounge Chair in oak/leather by Muuto in the ambience view. Muuto's Cover Lounge Chair is a stylish seat that can be used in both private and public areas and offers a pleasant level of comfort. 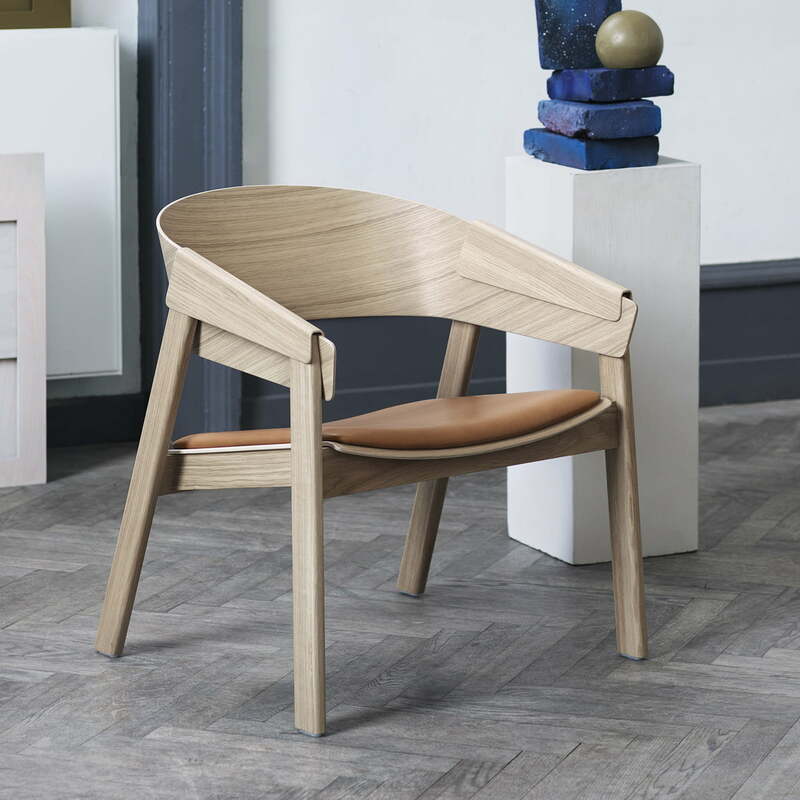 Cover Lounge Chair in oak/leather by Muuto in the ambience view. Traditional craftsmanship and a modern language of form meet here and together result in a harmonious combination. 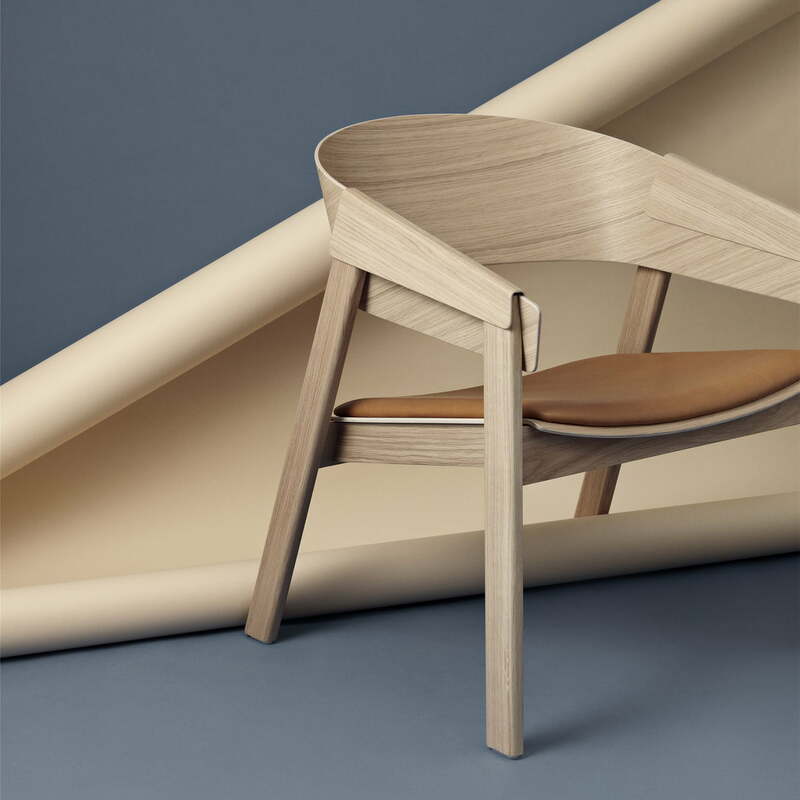 Cover Lounge Chair in oak/leather by Muuto in the ambience view. Standing individually or integrated into a seating corner, the Lounge Chair sets elegant, modern accents and blends in perfectly with any ambience.